This Saree has perfect mix of modern patterns and contemporary design. 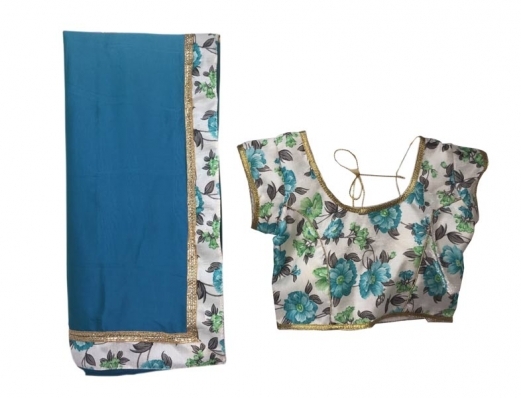 The body of the saree has elegant Blue color with matching White colored Printed border. 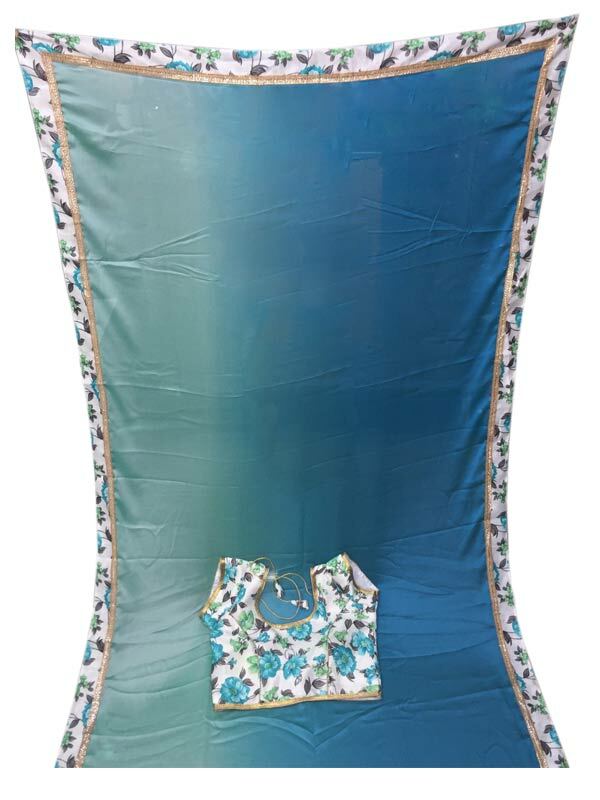 This saree is accompanied with Banglori Satin Ready made Full stitched Embroidery Printed work Blouse piece. Ideal to suit the best casual occasions in your life.